"Thea Queen was also weak and no matter what it takes I will be strong". Thea Dearden Queen (born January 21, 1995) is the 18 year-old daughter in the Queen Family. She is the birth daughter of Moira Queen is the sister of Oliver Queen, and daughter of Moira and the late Robert Queen. 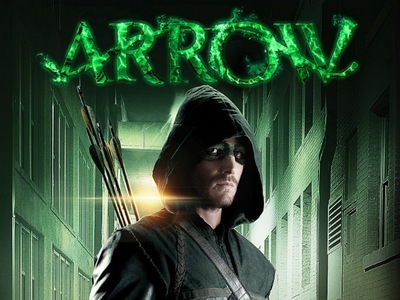 Later revealed to be the possible daughter of Malcolm Merlyn. She is a good friend of Margo, Blake, and Morgan, and the girlfriend and love interest of Roy Harper. Before she met Roy and began a romantic relationship with him, she had a crush on Tommy Merlyn, who unknown to her was her half brother, and Shane Colvin. They used to be close and, according to Oliver, she used to chase after him when she was younger, thus giving her the nickname, "Speedy". When her father and brother were both presumed dead, Thea felt alone and disconnected from the world. She fell into a life of drugs and partying to fill the void left by her father and brother. Oliver's reappearance has done little to fill that void, as he is hardly ever around to re-connect with her. After a string of "disappearances" and a murder charge, Thea herself is starting to wonder where Oliver "disappears" to. Thea can be reckless, impulsive, and immature, but she has a good heart and always tries to do the right thing, and looks up to her older brother Oliver. When she meets Roy Harper, the young criminal, she quickly forms a strong romantic attraction, and she is shown to be extremely devoted to him, repeatedly bailing him out of jail. After Roy is saved by The Hood, Thea goes along with him to meet the man who saved his life. 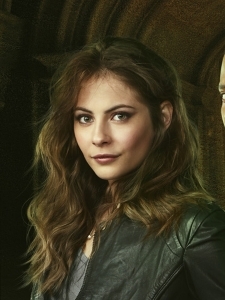 This shows that Thea, while young, reckless, and impulsive, has a strong sense of loyalty and camaraderie for those she loves. After working with Laurel, her partying and drug abusing days seem to be exchanged for a more dutiful and emotionally responsible personality.